It has been a productive term so far regarding improvements to the physical plant! 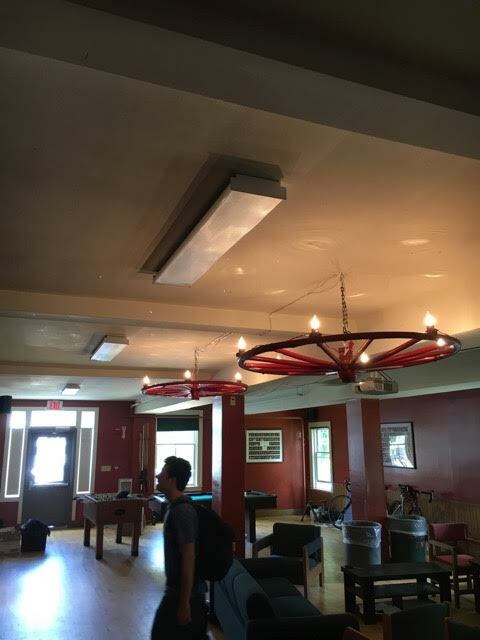 A few weeks ago, Carter Noordsij ’18 and Erik Loscalzo ’18 hooked up the old barn lights in the front room. The lights not only look great, but also integrate a piece of house history into a central area that brothers and guests alike can enjoy. 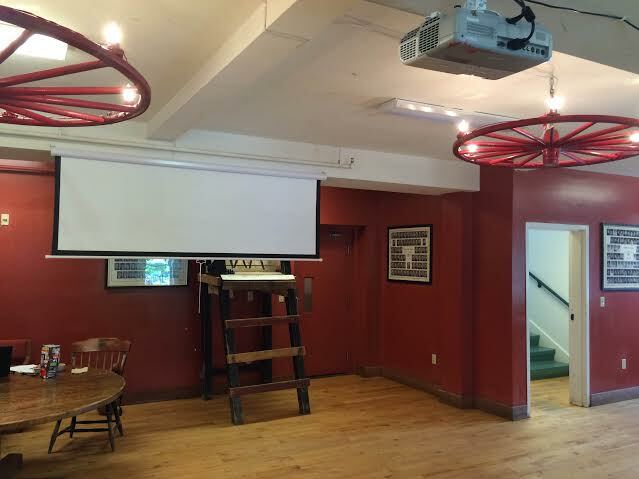 Following that, a group of brothers led by 16X House Man Alex Beals ’18 hooked up and wired the projector that was sitting in the front room, and bought a projector screen to accompany it. The display cables are all wired into the Ryerson, which allows brothers to play video on the projector and use the sound system in the front room for audio. 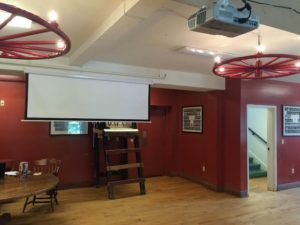 Monday movie nights have quickly become a staple of brotherhood programming, and it will no doubt come in handy once football season arrives in the fall.